The American food chain makes a novel contribution to today’s celebrations. 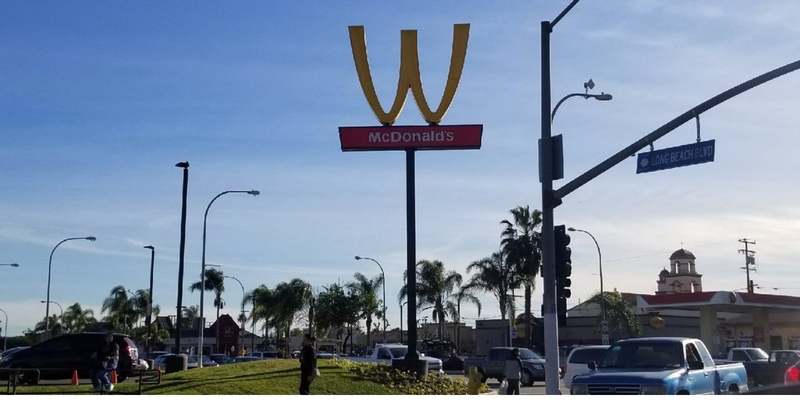 McDonald’s has shown its sisterly solidarity for International Women’s Day by inverting its famed M sign to make a W.
Although the statement has only been implemented at its Lynwood, California branch, the fast food chain has also turned its logo upside down on all its social media channels, including Twitter and Instagram. A McDonald’s statement said that the move was a “celebration of women everywhere”. “In celebration of women everywhere, and for the first time in our brand history, we flipped our iconic arches for International Women’s Day in honour of the extraordinary accomplishments of women everywhere and especially in our restaurants,” McDonald’s global chief diversity officer, Wendy Lewis, said in a statement.